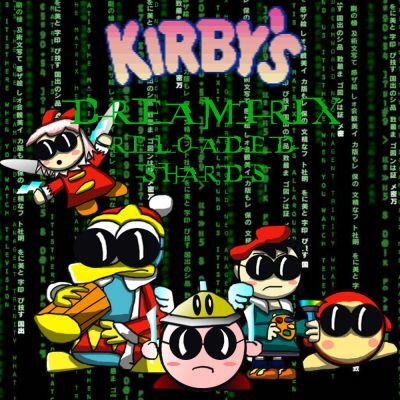 This was just to combine Kirby and the Matrix, just targeting towards Kirby 64. I hope you like it! Ok, enough of Dedede looking bad, he's been drawn better in my other uploads, please be aware that was my first attempt to ever draw Dedede. I think DeDeDe looks good. I draw him really bad I also like the sunglasses!! I especially like this unique Dedede. heeheehee... dedede's eyes are too big for his sunglass!!! Hey,are you on newgrounds?I saw your animation for this!Or perhaps I'm completely wrong,and it would be akward. Cool! Everyone looks so gangster!!! It's awesome! lol, Dededuck.Scrooge McDuck...CONNECTIONS? Good waddle dee. Dang, this is just great, no other words for it. The style is quite comical, I think a comic would do well like this... and I haven't even seen the movie!